Harprit Maan is a law clerk who has worked with Mr. Giordano since 2017. Prior to joining Avanessy Giordano LLP, Harprit gained invaluable experience in Small Claims and Immigration matters. 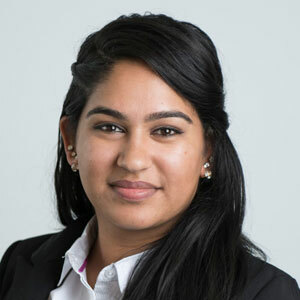 In 2016, Harprit graduated from the Paralegal studies program at Centennial College and is a licensed Paralegal in good standing with the Law Society of Ontario. She has her Honors B.A. in Criminology and Justice Studies from the University of Ontario Institute of Technology. Harprit enjoys every aspect of the litigation process and is dedicated to client service. Harprit is conversational in Punjabi.